Even as it reveals much about the mentality and self-understanding of the Patriarchate of Constantinople, the letter of Patriarch Bartholomew to Archbishop Anastasios of Albania is a puzzling document. Why would His All-Holiness blithely cite a letter from the Council of Carthage that undercuts his claim to the right to hear appeals? Why would he think it acceptable to mischaracterize a decision of the First Ecumenical Council? Why would he cite a Patriarchal Tomos filled with many warnings against exaggerated claims of primacy? A careful examination of Patriarch Bartholomew’s sources and the ways in which he uses them sheds a bit of light on how this could happen. As it turns out, almost all of Patriarch Bartholomew’s historical citations are taken from just two rather problematic sources: the book The Oecumenical Patriarchate in the Orthodox Church by Metropolitan Maximos of Sardis and a pamphlet published by Metropolitan Basil of Anchialos in 1887 (not 1877, as Patriarch Bartholomew states in his letter, a small indication of his carelessness throughout the text). In his book, Maximos of Sardis mounts an elaborate defense of the Patriarchate of Constantinople’s understanding of its own prerogatives, especially its interpretation of Canon 28 of the Council of Chalcedon as granting Constantinople exclusive jurisdiction over the Orthodox diaspora. Readers who have closely followed Constantinople’s assertions of special prerogatives during the course of the current ecclesiological crisis will find his canonical and historical argumentation familiar, as he takes something of a kitchen-sink approach to historical prooftexts and, as we shall see, a cavalier attitude towards his sources. Patriarch Bartholomew’s use of this book is clear from his choice of historical citations: the quotes from Neophytos VII, Anthimos VI, Kallistos I, Luke I Chrysoberges and the 1663/4 Tomos of the Eastern Patriarchs all share this common source. Moreover, the sources given for these texts are in each case lifted from the footnotes of Maximos’ book without any consultation of the original texts, much in the same manner that Maximos frequently cribs citations from the secondary sources he uses. A striking example of the careless way in which Patriarch Bartholomew treats historical documents is his brief mention of “the decision of Kallistos I in the matter of Germanos II of Tarnovo.” This is curious, because the Patriarch of Tarnovo at that time was Theodosius II and there does not appear to have ever been a patriarch of Tarnovo by the name of Germanus. The confusion is explained, however, when we turn to Maximos of Sardis, where he states that “In 1355, after two hundred years, the Oecumenical Patriarch Callistus I recalled to canonical order the Archbishop of Trnovo and All Bulgaria. He had been dignified by the Patriarch Germanus II (1226-1240) in the Council of Lampascus of 1234 with the honorary title of patriarch…” This in turn is copied with only minor changes and without citation from an article published in 1948 by Emanuel Photiades, a professor at Halki, defending the Patriarchate of Constantinople’s interpretation of Canon 28 of Chalcedon against an article by the Russian scholar S.V. Troitsky. Evidently unfamiliar with the historical events being referenced and careless about the Greek syntax, Patriarch Bartholomew did not recognize the name of his predecessor and assumed he was the unnamed Bulgarian patriarch in question. Patriarch Bartholomew’s use of the Tomos of the Eastern Patriarchs of 1663/4 can also partially be explained by his reliance on Maximos of Sardis’ book, which again simply plagiarizes Photiades’ article without citation, down to copying the relevant footnote verbatim. The strange conflation of Question 21, dealing with whether a metropolitan can be judged by bishops he consecrated, with Question 22, dealing with the finality of a decision made by the consensus of the patriarchs, goes back to Maximos’ blind copying of Photiades’ own (still inexplicable) conflation of the two questions. However, while Maximos and Photiades quote the part of the response that speaks of “The judgment of the Ecumenical See and the Patriarchs with it,” Patriarch Bartholomew refrains from using quotes and instead simply implies that they grant unilateral authority to the Ecumenical Patriarchate. Question, Chapter VIII: Whether every judgment of the other churches is referred to the See of Constantinople and from her each ecclesiastical case receives a conclusion. Answer: This privilege belonged to the Pope of Rome before splitting from the Catholic Church out of arrogance and willful wickedness, but now that he has split, the issues of all the Churches are referred to the See of Constantinople and from her receive decisions, as it has the same primacy that Old Rome held, according to the canons, for the Fourth Canon of Sardica says, “If any bishop is deposed by the judgment of bishops who happen to be neighboring, and asserts that he has fresh matter in defense, a new bishop be not settled in his see, unless the bishop of Rome judge and render a decision as to this.” That this privilege is transferred to the Ecumenical See, you may learn from many, not least from the scholia of the great Nomocanon, which say, “From this canon, the Romans raised themselves to arrogance, and of old putting it forward as as from [the Council] in Nicaea, their leaders were proven villains, as the Synodical preamble of the Council of Carthage itself makes clear”. And further down, “the bishops of Old Rome boast that through this canon they were given all the appeals of the bishops” and further down says, “not all the appeals of the bishops are referred to him, but those of eparchies under him, those which,” he says, “later were placed under Constantinople, as their appeals henceforth also appertain to the latter.” And from Balsamon, “the special privileges defined do not belong to the Pope himself alone, but are understood also to belong to the [bishop] of Constantinople.” Since the bishop of Rome has broken off from the Catholic Church, they are only referred to the Ecumenical Throne. If the other Patriarchs also agree, if it happens to be a major issue, the resulting verdict is inalterable. So while Patriarch Bartholomew’s ignorance of the the full response may well be due to his reliance on Maximos of Sardis’ plagiarism of Photiades’ own less than honest use of this text, His All-Holiness adds further disingenuousness to that of his source by removing its conclusion that “If the other Patriarchs also agree, if it happens to be a major issue, the resulting verdict is inalterable.” Evidently, plagiarism and creative use of ellipses are key techniques in the methodology of the Constantinopolitan school of historical writing. That His All-Holiness avoids mentioning the Synodical Letter of the First Council of Nicaea, which requires the ordination (χειροτονία) and repentance of bishops returning from the Meletian Schism is consonant with his pattern of eliding any text that runs counter to his arguments. But why does Basil of Anchialos speak of a “laying-on of hands” (χειροθεσία) instead of using the language of the Letter? And why does he conflate the council’s resolution of the Meletian Schism with Canon 8, which deals with the reception of Novatians in an altogether different manner, when almost all scholarship dealing with the issue seeks to understand the contrast between these two decisions? The answer can be found in his own source which, to his credit, he properly cites. While modern scholarship on the question generally understands the χειροτονία of the Synodical Letter according to its plain meaning– an ordination– Basil of Anchialos is at great pains to argue that it is in fact only a non-sacramental laying-on of hands (χειροθεσία), an interpretation for which he cites a single authority: the Thesaurus Ecclesiasticus of the Swiss Calvinist scholar Johann Caspar Suicer (or Schweizer). This is an odd source, to say the least, for an Orthodox clergyman of the late 19th century to choose, since while the Thesaurus was a remarkable philological achievement when it was first published in Amsterdam in 1682, by Basil of Anchialos’ time it was over two hundred years out of date. Moreover, it was written in the polemical environment of the 17th century by a Calvinist who rejected the very sacramental character of ordination and the episcopate. In his entry on χειροθεσία, Suicer discusses the use of the word χειροτονία in the Synodical letter by asking, “Would it not have been better had it said χειροθεσία? It was not a new ordination, but simply the laying-on of hands by which they, as it were, were confirmed in the office in which they were ordained by Meletius.” He argues that this is the case on the basis of the Questions and Answers of Pseudo-Justin Martyr, a text very popular in Suicer’s day which may have originated in 5th century Syria in circles around Theodoret of Cyrrhus, which states that “The fault of the heretic coming to orthodoxy is corrected, wrong belief, by a change of mindset: of the baptized by anointing with holy chrism; of the ordained by the laying-on of hands.” To this he adds the clause from Canon 8 of the First Council of Nicaea, “they who are ordained shall continue as they are in the clergy,” and concluding that “thus at that time hands were laid on heretics who came to their senses, to whom peace was given after confession.” This is apparently the source of Basil of Anchialos’ erroneous claim (repeated by Patriarch Bartholomew) that the Synodal Letter applied Canon 8 to the Meletians. In his aversion to a sacramental understanding of the Letter’s μυστικωτέρᾳ χειροντονίᾳ, Suicer interprets the word μυστικωτέρα to mean “secret and private, so as to distinguish it from a public one, which was held with the presence of bishops and priests,” an interpretation that sits poorly with it being a comparative adjective. Most modern interpreters of the text translate it literally, as “more mystical”, “more spiritual” or “more holy” or, as in the case of Hans Hauben and Archbishop Peter L’Huillier, “more sacramental.” As Suicer goes on, he merely lists examples of heretics being received back into the Church by chrismation or the imposition of hands, assuming that the analogy between the reception by chrismation of baptized heretics and the non-sacramental laying-on of hands of ordained schismatics is sufficiently self-evident. Basil of Anchialos follows him in this, which is his reason for citing Theodore the Studite. Patriarch Bartholomew, on the other hand, while exclusively relying on Basil of Anchialos for his information, follows his typical pattern of eliding difficult facts and so, unlike either his source or Suicer, does not mention any laying-on of hands of any sort or even any sort of repentance on the part of those being received. And so, after a careful examination of the way in which Patriarch Bartholomew used his sources and in turn, how those sources used their own sources, we find ourselves confronted not with “the genuine inheritance of ecclesiology…draw[n] from the wellspring of our Fathers,” but with a Russian nesting doll of plagiarism and bad faith, where shoddy scholarship is passed along and steadily made worse from one generation to the next. We live in a world where information is easy to obtain and most books and scholarly articles are for many just a click or two away (indeed, the Ecumenical Patriarchate has contributed to this by posting pdfs of the works of Basil of Anchialos and Maximos of Sardis online). Whenever a prominent clergyman makes a historical claim in our day and age, he should expect there to be people in the public at large who have the means and ability to check his primary sources and to check his analysis against contemporary scholarship. His All-Holiness’s careless, mendacious use of his sources is an insult to his interlocutor, Archbishop Anastasios. It is an insult to those who, presumably in good faith, translated the letter and promoted it heavily on social media as a definitive statement. It is an insult to the faithful who, even if they may sometimes disagree with him, look up to the Ecumenical Patriarch and expect him to make his case carefully and honestly. But this carelessness and mendacity is not unique to Patriarch Bartholomew. It is simply a feature of the tradition he inherited and the Constantinopolitan environment in which he was educated. Basileios Archiepiskopos Anxhialou, nun de Smurnes. Pragmateia peri tou Kurous tes Xeirotonias Klerikon upo Episkopou Katheremenou kai Schismatikou Cheirotonethenton (Smryrna, 1887). While footnote 7 of the English version of the letter cites an edition of Gedeon’s Canonical Regulations published in Athens in 1970 (not present in WorldCat), this extra information does not appear in the Greek original and the pages cited in both are identical to those cited by Maximos of Sardis and Emanuel Photiades with reference to the 1888 edition. Photiades, p. 220. A summary in English of the dispute between Troitsky and Photiades, written with a strong bias in favor of Constantinople, can be found here. Maximos of Sardis, p. 292 (English); p. 310 (Greek) ; Photiades, p. 223. Maximos of Sardis, pp. 291-292 (English), p. 309-310 (Greek), taken verbatim without citation from Photiades, p. 223. Again, with the passages omitted by both Maximos and Photiades in bold: Ἐρώτησις κεφ. η΄. Εἰ τῷ Κωνσταντινουπόλει θρόνῳ ἐφεῖται πᾶσα κρίσις ἄλλων Ἐκκλησιῶν καὶ αὐτοῦ λαμβάνει ἑκάστη ὑπόθεσις ἐκκλησιαστικὴ πέρας ; — Ἀπόκρισις. Τὸ προνόμιον τοῦτο τῷ Πάπᾳ Ρώμης ἤν πρὸ τοῦ διαρραγῆναι τῆς καθολικῆς Ἐκκλησίας ὑπὸ ἀλαζονίας καὶ έθελοκακίας· ἤδη δὲ ἐκείνο διαρραγέντος, αἱ ὑποθέσις πᾶσαι τῶν Ἐκκλησιῶν εἰς τὸν τῆς Κωνσταντινουπόλεως θωόνον ἀναφέρωοντι, καὶ παρ᾽ αὐτοῦ τὰς ἀποφάσεις λαμβάνουσιν ὡς τὰ ἵσα πρωτεῖα κατὰ τοὺς κανόνας ἔχοντος τῆς παλαιᾶς Ρώμης· φησὶ γὰρ ὁ τέταρτος κανών τῆς Σαρδικῆς· αἐάν τις ἐπίσκοπος καθαιρεθῇ τῇ κρίσει τῶν ἐπισκόπων τῶν ἐν γειτνίᾳ τυγχανόντων, καὶ φάσκῃ πάλιν ἑαυτῷ ἀπολογίας πρᾶγμα, μὴ πρότερον εἰς τὴν καθέδραν αὐτοῦ ἕτερον ἀποκαταστῆναι, εἰμὴ ὁ τῆς Ρώμης ἐπίσκοπος ἐπιγνοὺς περὶ τούτο ὅρον ἐξενέγκοι· ὅτι δὲ τὸ προνόμιον τοῦτο ἐπὶ τὸν Οἰκουμενικὸν Θρόνον μετενήνεκται, μάθοις, ἂν ἐκ πολλῶν, οὐχ ἦττον δὲ ἐκ τῶν σχολίων τοῦ μεγάλου Νομίμου λεγόντων· «ἐκ τοῦτου τοῦ κανόνος τὸ ρωμαϊκὸν ἦρται εἰς ἀλαζονίαν· καὶ τοῦτον οἱ τῆς ἐν Νικαίᾳ πάλαι προβαλλόμενοι ἐπι τῆς ἐν Καρθαγένῃ Συνόδου ἑάλωσαν κακοῦργοι οἱ τούτων προεδρεύοντες, ὡς αὐτὸ δηλοὶ τὸ Συνοδικὸν προοίμιον τῆς ἐν Καρθαγένῃ» · καὶ κατωτέρω, «ἐκ τούτου τοῦ κανόνος αὐχοῦσιν οἱ τῆς πρεσβυτέρας Ρώμης ἀρχιερεῖς ἐνδεδόσθαι αὐτοῖς τὰς ἐκκλητοὺς πάσας τῶν ἐπισκόπων»· καὶ παρακατιὼν φησίν. «οὐ πάσας τὰς ἐκκλητοὺς τῶν ἐπισκόπων ἀνατίθησιν αὐτῷ, ἀλλὰ τῶν ὑποκειμένων αὐτῷ ἐπαρχιῶν, αἵτινες, φησὶν, ὕστερον τῷ Κωνσταντινουπόλεως ὑπετέθησαν, ὡς ἐκείνῳ λοιπὸν καὶ τὰς ἐκκλήτους αὐτῶν ἀνήκειν» · καὶ ἐκ τοῦ Βαλσαμῶνος· «μὴ εἶναι τὰ περὶ τοῦ Πάπα ὁρισθέντα εἰδικὰ τούτου καὶ μόνου προνόμια, ἀλλ᾽ ἐξακούεσθαι καὶ εἰς τὸν Κονσταντινουπόλεως· ἔδη δὲ ἀπορραγέντος τοῦ ἐπισκόπου τῆς Ρώμης ἀπὸ τῆς καθολικῆς Ἐκκλησίας, μόνον εἰς τὸν Οἰκουμενικὸν ἀναφέρονται Θρόνον. εἰ δε συναινοῦσι καὶ οἱ λοιποὶ πατριάρχαι, εἰ τυχὸν εἴη μείζων ὑπόθεσις, ἀμετάβλητος ἔσται ἡ ἐξενεχθεῖσα ἀπόφασις». Patriarch Bartholomew: οἱ δέ ἐξ αὐτοῦ ἐπιστρέφοντες ἐγένοντο δεκτοί εἰς τήν κοινωνίαν τῆς Ἐκκλησίας ἄνευ ἀναβαπτισμοῦ οὐδέ χρίσεως διά τοῦ Ἁγίου Μύρου, καθ᾿ ἅ πληροφορεῖ πάντας ἡμᾶς Θεόδωρος ὁ Στουδίτης ἐν τῇ Μ΄ Ἐπιστολῇ αὐτοῦ πρός Ναυκράτιον. Basil of Anchialos, p. 31 Πιθανὸν ὅμως ὄτι ἐξ αὐτῶν ἐπιστρέφοντες κληρικοὶ ἐβεβαιοῦντο ἐν τοῖς οἰκείοις ἱερατικοῖς βαθμοῖς διὰ εὐχῆς μετὰ χειροθεσίας, κατὰ τὴν ἀπόφασιν τῆς Α΄. οἰκουμενικῆς συνόδου τὴν ἐκδηλουμένην ἔν τε τῇ προμνημονευθείσῃ συνοδικῇ ἐπιστολῇ καὶ ἐν τῷ η΄. κανόνι, καὶ κατὰ τὸ παλαιόθεν κρατοῦν ἔθος. A valuable summary of 20th century scholarship on the reception of the Meletians can be found in: Hans Hauben, “La réordination du clergé mélitien imposée par le Concile de Nicée,” Ancient Society 18 (1987): 203-207 and idem, “Das Konzil von Nicaea (325) zur Wiederaufnahme der Melitianer: Versuch einer Text- und Strukturanalyse,” in Timai Ioannoy Triantaphyllopoulou, ed. J Velissaropoulou-Karkosta et al. (Athens: Komotene Ekdoseis Ant. N. Sakkoula, 2000): 357-379. 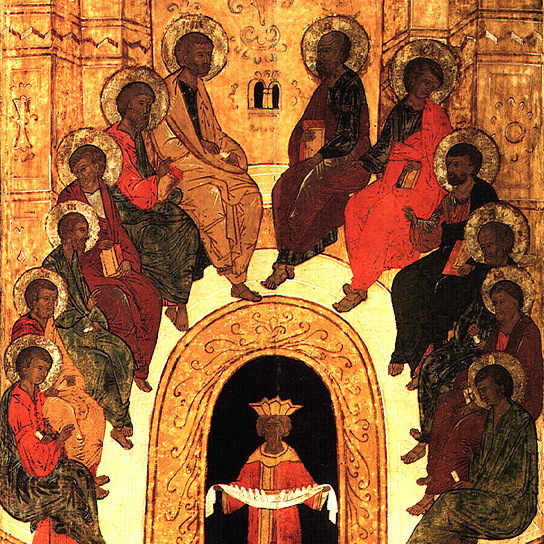 In both articles, Hauben argues that the Council of Nicaea is indeed speaking of re-ordination, as problematic as he finds it from the perspective of Roman Catholic theology. Ita qui ab Haereticis ordinati fuerant, si ad Ecclesiam reverterentur, non de novo ordinabantur apud Orthodoxos, sed ipsis pax dabatur impositione manuum privatâ & arcanâ, quam μυστικωτέραν χειροτονίαν apellat Theodoretus hist. Eccles. lib. I. cap. VIII. in epistola synodica, pag. 547. ubi agit de Melitianorum Episcopis, sive à Meletio ordonatis : τὰς δὲ ὑπ΄ αὐτοῦ κατασταθέντας, μυστικωτέρτᾳ χειροτονίᾳ βεβαιωθέντας, κοινωνηθῆναι ἐπὶ τούτοις. Eos autem, qui ab eo sunt constituti, arcanâ manuum impositione confirmatos, ad communionem his legibus admitti, &c. Eadem habentur in Actis Concilii Nicaeni I. parte II. pag. 176. An meliùs dixisset, μυστικωτέρᾳ χειροθεσίᾳ? Non enim ordinatio illa nova fuit, sed manuum simplex impositio, quâ veluti confirmabantur in officio, in quo ordinati fuerant à schismatico Meletio, Ut enim non integer, nec plenus Baptismus iterum conferebatur jam baptizatis ab haereticis vel schismaticis, sed sola impositione manuum, aut chrismatione confirmabantur: (vide in voce Αἱρετικὸς, num. IV. sub lit. A.c.) ita ab haeretico ordinatus non iterum ordinabatur, sed tantùm confirmabatur μυστικωτέρᾳ χειροθεσίᾳ. Justinus resp. IV. ad Orthodoxos, pag. 399 in Edit. Graeco-Lat. ubi docet, non rebaptizari jam baptizatum ab haereticis, neque ordinatos iterum ordinari: Τοῦ αἰρετικοῦ ἐπὶ τὴν ὀρθοδοξίαν ἐρχομένου τὸ σφάλμα διορθοῦται, τῆς μὲν κακοδοξίας, τῇ μεταθέσει τοῦ φρονήματος · τοῦ δὲ βαπτισμάτος, τῇ ἐπιχρίσει τοῦ ἁγίου μύρου · τῆς δὲ χειροτονίας, τῇ χειροθεσίᾳ. Haeretici ad orthodoxiam transeuntis lapsus corrigitur, prave quidem opinionis, mutatione sententiae: baptismi autem, unguenti sancti untione: ordinationis verò, manuum impositione. Haec est μυστικωτέρα χειροθεσία, quam ex haeresi resipiscentibus Clericis adhiberi solitam ab Orthodoxis Justinus & Theodoretus narrant. Eam vocat μυστικὴν χειροτονίαν Theodoretus, quasi secretam & privatam ordinationem, ut eam distingueret à publica, quae praesentibus pluribus Episcopis & Presbyteris fiebat. Ita Can. VIII. Concilii Nicaeni I. Περὶ τῶν ὀνομαζόντων μὲν ἑαυτοῦς καθαροὺς ποτὲ, προσερχομένων δὲ τῇ καθολικῇ καὶ ἀποστολικῇ ἐκκλησίᾳ, ἔδοξε τῇ ἁγία καὶ μεγάλῃ συνόδῳ, ὥστε χειροθετουμένους αὐτοὺς, μένειν οὕτως ἐν τῷ κλήρῳ. De his, qui se Catharos nominant, si aliquando ad Catholicam & Apostolicam Ecclesiam redierint, visum est sanctae & magnae Synodo, ut accepta manuum impositione, sic in clero maneant. Olim ergo in Ecclesia manus imponebantur haereticis resipiscentibus, quibus post exomologesim pax dabatur. Id etiam testatur Dionysius Alexandrinus apud Eusebiam, hist. Eccles. lib. VII. cap. II. pag. 72. a. Παλαιοῦ γέ τοι κεκρατηκότος ἔθους ἐπὶ τῶν τοιούτων μόνῃ χρῆοθαι τῇ διὰ χειρῶν ἐπιθέσεως εὐχῇ. Antiquus mos obtinuit, ut de talibus sola adhibeatur oratio per manuum impositionem. Aurelius Carthaginensis Episcopus in Graeca collectione Canonum Ecclesiae Africanae, Can. LVII. cùm de Donatistis ageretur: Ἀναθεματιζομένου τοῦ τῆς πλάνης ὀνόματος, διὰ τῆς ἐπιθέσεως τῆς χειρὸς ἀναδεχθῶσινεις τὴν μίαν ἐκκλησίαν. Anathematizato nomine erroris recipiantur per manus impositionem in unam Ecclesiam. Talis χειροθεσία etiam intelligitur, nimirum εὐλογίας, benedictionis, Actor. VIII. 17. per quam fideles in primitiva Eccclesia acceperunt Spiritum Sanctum : de qua Epiphanius haeresi XXI. pag. 29. Διὰ τῆς τῶν ἀποστόλων χειροθεσίας ἔλαβον πνεῦμα ἅγιον. Per impositionem manuum Apostolorum acceperunt Spiritum Sanctum. Hauben, “La réordination du clergé mélitien,” p. 205. See this article also for several examples of how other scholars have translated this phrase.